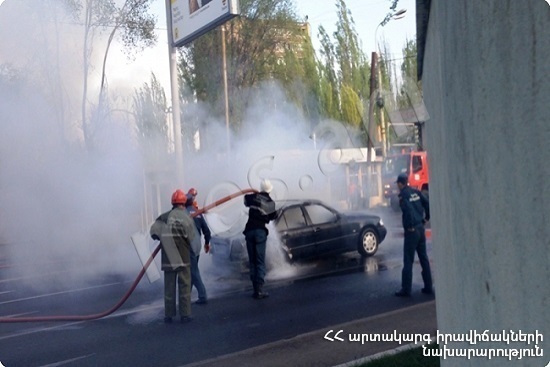 On April 13, at 12:27 an emergency call was received to “911” service that a fire had broken out in the engine part of “Mercedes” car on the Victory bridge, Yerevan. The fire was isolated at 12:35 and extinguished at 12:48. The engine of “Mercedes C280” car burnt.